Bryan Cranston says he's excited to be part of the new "Godzilla" film, but he almost turned down the role because he was still working on "Breaking Bad" and thought he had to follow with "something serious." 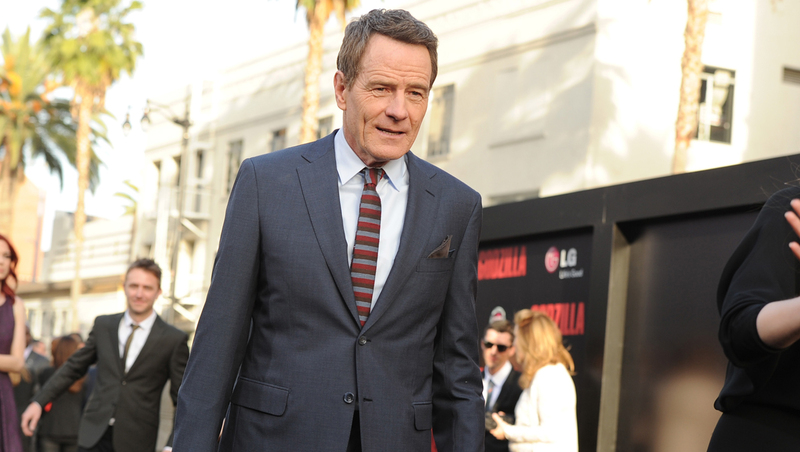 In a recent interview about the film, Cranston said he was worried that people might compare the two roles and say, "Oh, that's not anywhere near as good as 'Breaking Bad.'" "I didn't want to have that conversation," the actor added. Cranston, who's currently up for a Tony Award for playing President Lyndon B. Johnson in the Broadway play "All the Way," says he read the "Godzilla" script at his agent's urging and that's what changed his mind. "I was surprised by what I read. I didn't anticipate that," he said. The 58-year-old actor said he loved watching the Japanese "Godzilla" films growing up and really bought into the idea "they are actually destroying a city and I didn't realize that it was a man in a suit or anything. "In this latest Hollywood adaptation, Cranston plays a nuclear scientist who becomes obsessed with what caused the destruction of a nuclear power plant in 1999. The Emmy-winner ended his role as Walter White with the conclusion of "Breaking Bad" in 2013 after a 5-year run. On his wish list now is to do an "extremely long" film series where he could play the same character through different story lines. Asked if he's looking to become intimate with another character the way he was able to be with Walter White, Cranston responded, "Oh, yeah. That's the whole goal." Watch the video above to see Cranston and co-star Elizabeth Olsen talk more about the big-screen reboot. "Godzilla" is now playing in theaters.